Calendar – Pook & Pook Inc. Phone, absentee, live, and internet bidding will be available for this auction. The buyer’s premium is 22% inhouse and 25% online. All online bidding will be on Bidsquare. To consign to Pook & Pook, please email photographs to info@pookandpook.com or call (610) 269-4040 to speak with an appraiser. The buyer’s premium for this auction is 22% in-house (phone, absentee, live salesroom) and 25% on Bidsquare and LiveAuctioneers. To consign items to Pook & Pook, please email photographs to info@pookandpook.com or call (610) 269-4040 to speak with an appraiser. All bidding for this auction takes place online. The buyer’s premium for this auction is 25% on Bidsquare. The gallery will not be open for preview on the day of the auction, but is open for payment and pick-ups. 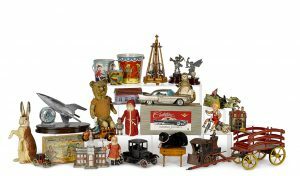 To consign to an upcoming Pook & Pook toy auction, please email photographs to toys@pookandpook.com.